NLP is a versatile set of tools and techniques that allow you to create quick, effective change and consistently produce your desired results. NLP was created in the 1970s by Richard Bandler and John Grinder. Having studied a number of people who excelled in their field they created a number of models, which others could use to replicate the excellent behaviour in themselves and others. NLP provides an instruction manual of how to use your mind and allows you to quickly and easily achieve excellent results in both your personal and professional life. Do you want to overcome problems or increase performance for yourself or assist others to? With NLP you can quickly and easily achieve all of this and more. NLP was created in the 1970s by Richard Bandler and John Grinder. They wanted to understand how people produced excellence, so they studied a number of people who excelled in their field. Those they studied included: hypnotherapist Milton Eriksson MD, family therapist Virginia Satir and gestalt therapist Fritz Perls. Once Bandler and Grinder discovered how these people produced excellence they created a number of models, which others could use to replicate the excellent behaviour in themselves and others. NLP has developed into a set of tools and techniques, which shows you how to run your mind and to create effective change in your thoughts, beliefs, behaviours and state. But it’s more than just a set of tools and techniques it is also an attitude and a methodology. NLP is about curiosity, a willingness to experiment and the use of modelling, experimentation and processes. Ultimately NLP allows you to achieve excellent results in both your personal and professional life. Find out below what NLP officially stands for and some important assumptions which we operate by. The nervous system (the mind), through which our experience is processed via the five senses: Visual, Auditory, Kinaesthetic, Olfactory, Gustatory. Language and other non-verbal communication systems, e.g. hand gestures, physiology, through which our neural representations are coded, ordered and given meaning. Includes: Pictures, Sounds, Feelings, Tastes, Smells, Words (Self Talk). NLP is the cornerstone of our 4-in-1 NLP courses. It provides the foundation elements for all of the training modules to give you one of the most powerful coaching tool kits for yourself and others that exists today. Filled with quick and effective techniques to give you the edge. Standalone NLP Training is available in-house for organisations including businesses, sports clubs and Government Agencies. 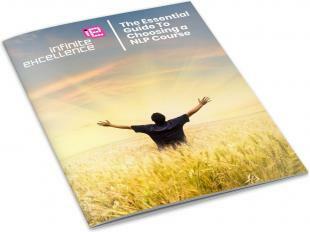 One 2 One Breakthrough Coaching using NLP is also available. NLP Coaching provides anyone coaching, mentoring or guiding others with a framework of tools, techniques and thinking to assist themselves and others to success. Time Line Therapy™ is a collection of techniques that allow you to gain emotional control over your life and increase your personal performance and effectiveness. Hypnosis is as old as history and is well documented through the ages in assisting people in change through suggestion. What kinds of trainings exist in NLP, how far can you go and what training is right for you? NLP is currently unregulated but there are a number of organisations that are promoting practicing to high standards and ethics within the industry.